Every beginning is hard. Like every other business, starting as a freelancer also requires time, efforts and somewhat investment. A wanna-be freelancer hardly ever has extra money and budget and usually nobody knows about them. For these two reasons, we should take advantage of all channels of free advertising for freelancers. Here are a few to get started. This first step to marketing your freelance services is so important that I have already blogged about it in a separate post. Check out the earlier blog post about completing your freelance profile if you have no read it yet. Make your portfolio and/or your own website to showcase your freelance services. Regardless your profession (designer, programmer, content writer, marketing consultant, accountant, translator, or anything else), to succeed you need to have experience and proven track record in your field. Take your freelance services and experience and put it all in a “virtual folder” – a portfolio, a personal website, or both! I would recommend that you buy your own domain – e.g. yourname.com, especially for your portfolio, and not to rely on free hosting services like something.wordpress.com, or somethingelse.blogspot.com. Not sure if it matters so much for google and other search engines, but it sure impacts the perception of your services. It’s one thing when a potential client checks your own website and totally different thing when they see a free hosted website. Purchasing a domain and hosting is a small yearly investment you can and should do. The more people see and check out your website, the bigger the chance of hiring your freelance services. Take part in freelance forums, communities and events is another step of the free advertising for freelancers. Exchange ideas with other like-minded people, aka freelance consultants. Ask and answer questions. You never know to whom you’d help and who will notice you online. A potential client can see and like a comment you have made in a forum and based on that – research you further and eventually, hire your freelance services. Besides, when you are an active member of the freelance community, you show your support to others and additionally you better yourself both as a person and as a professional freelancer. Research some venues where potential clients gather together to discuss issues and take part there as well. In the beginning, when you’re starting as a freelancer, clients won’t look for you to hire you. They won’t even know you exist, right? Before you prove yourself as a reliable freelance consultant, you will always have to make the first step and reach out to potential clients. This doesn’t mean “cold emailing” of course – nobody likes spam. A good tactic to free marketing for freelancers is active participation on various websites – forums, message boards, blogs, groups etc. o your homework first and research the venues where potential clients discuss their business initiatives, open positions, ideas to improve their business culture and habits, even tricks for reducing business costs (especially those related to HR!). 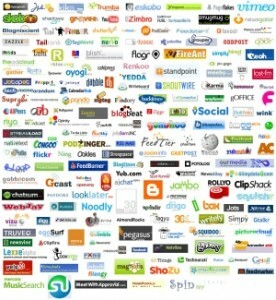 Finding such websites and active participation increases your chances of being noticed and eventually hired. 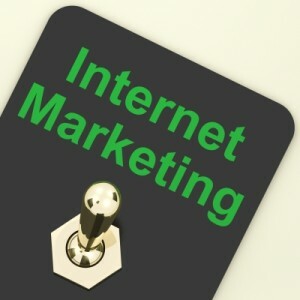 Consistence is paramount if you want to succeed with such free marketing channels. For instance, if you have a blog – publish new materials in it regularly. Read my post about keeping a blog editorial calendar to help you with this tip. Also, remember to check regularly the forums for new discussions, questions or comment opportunities. There aren’t bad opportunities for free advertising for freelancers; there are only lost opportunities. Get some HTML and CSS knowledge and skills. When I was starting a few years ago and had decided to run a blog for the first time, I found a pretty cool site – www.w3schools.com. check it out and you will see how fun it can be, and useful, too! Maybe you’re wondering why you’d need such skills in the first place?! The answer is simple – to create and maintain your own website with a platform like WordPress; or to create and customize a Facebook page; and some other useful things like those… which leads me to my next point about free advertising for freelancers – social media networks. However, marketing our freelance services on social media will be the topic of my next freelance blog post because it is a very important part of self-advertising for freelancers and deserve their share of special attention. Internet is changing so quickly that there’s something new to be learnt every day only to keep up with the modern world. 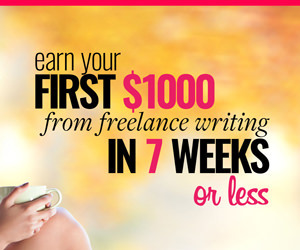 Read about freelance best practices. Read news in your professional field. Read about social media and how people communicate with each other, online and offline. Read about psychology. Read everything that you think might come in handy at some point and will help you better yourself as a person and as a freelancer. And if you’re now thinking “hm, this isn’t that hard”, let me warn you – all of this can take up a lot of time. No doubt a day will come when you won’t be able to blog regularly, maintain your website and portfolio, participate in forums, and read news all in the same time. It isn’t a big deal if you check the communities and take part in forums and other venues more rarely than before, but my advice is – never stop advertising yourself, no matter how scarce your time is and how big the demand for your freelance services is at the moment. Over to you – besides social media, what other tips and trick you have for free channels of marketing for freelancers? Great post Diana – particularly like the part about the importance of reading. It’s so important to never stop reading, learning and growing – no matter what field you’re in. Another good form of ‘free advertising’ is to guest post on websites and blogs in your niche, with a link back to your portfolio page or blog. Great article and I have to agree with Kirsty above…read! I’ve noticed that writers are notoriously bad readers! I think we’re used to skimming…so many novel, so little time…sort of thing. Great tips! thanks for your comment. oDesk can be a good place to find freelancers, Elance is another of my favorites 😀 I have heard a lot of programmers use freelancer.com (who acquired scriptlance.com not long ago and that was a website specifically for web developers, i think). 1) the job post is too vague – if it doesn’t give clear info about the project and/or you needs, maybe people are reluctant to get in touch as vague job post is often a red flag for bad communication. not always true but still, that’t the perception. 2) the job post is too detailed and demanding – this is the better scenario and the problem is not so much with your job post bu with the lack of qualified contractors. This means that you will need to re-post the same post 3-5-10 times until you find the single contractor you are looking for – who is not scared of detailed and demanding and is also available. Diana, I like the idea of completing my profile on several different sites. And you are so right about time- it’s hard to keep up with my blog as I am currently busy with work. But come, say, November, and I may be looking for new projects. thanks for stopping by, Leora! I am glad we are in agreement. As for being busy now and looking for new projects in November – maybe you should consider having some time off after a busy summer 😉 Or of course, starting small from now to find and attract those new clients and projects for November when you’d need them. Getting visibility is important to any business, but as a freelancer you really need to distinguish yourself from the pact. Most of your advice is applicable to all organizations. The one piece that I think it particularly useful to freelancers and small businesses is getting some HTML and CSS skills. It’s something I’m hoping to pick up eventually, regardless of where I work, but I can’t see how I could be a freelancer without it unless I had deep enough pockets to pay for the service. I’m not sure I qualify as a freelancer although I am a coach, speaker and author. That might be a category of freelancer. We tend to have a “one sheeter” that is likely part of the portfolio you suggest. Before I shifted gears to being online more, I actually got to being quite regularly busy. I paid particular attention to your “Read” paragraph. When you get this far it’s the time to think about delegating in every and any way you can. Valuable insights Diana. HI, I really don’t have any tips yet. I am so new to this. I am working diligently to create relationships that are truly reciprocable. I want to help others as I learn about blogging . Right now, I am working on a list of goals for my blog as part of the Blogging Boot Camp that is taking place this week on Facebook. P.S. i have removed the link from your comment because it returns 404 error, sorry! 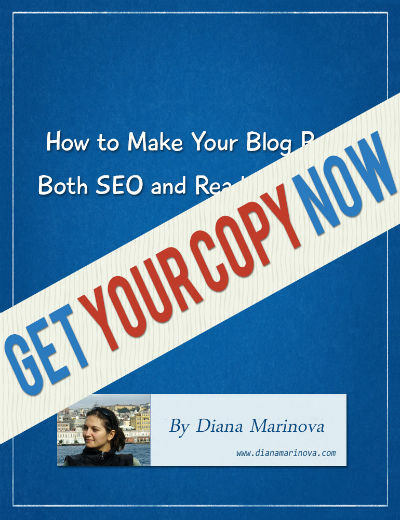 Great tips Diana! Building an online presence is a must for every freelancer. Customers are searching for freelancers online and those who show up easily in search results are more likely to get work. Building a website and spending some time on SEO is well worth the effort. True that, Abhishek – thanks for adding the SEO angel to the mix.